Marinella Bar is located in the main square in Ayia Napa and is part of the "Circus Square" collection of venues. As well as the inside dance floor, Marinella has seating areas in the actual square itself so the crowds spill out from the bar. 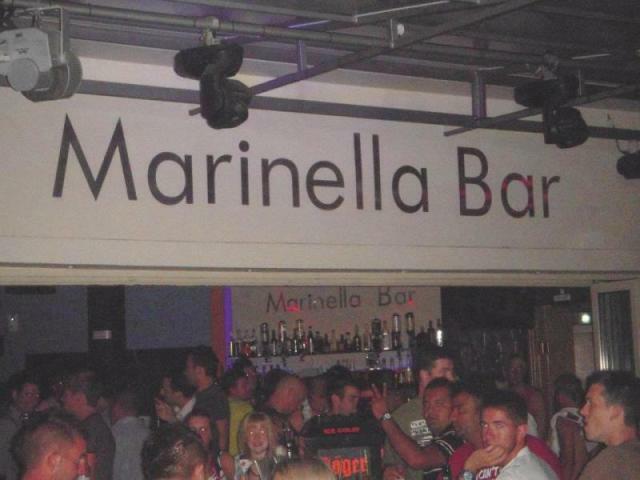 Marinella Bar is open from June to August when Ayia Napa is really busy and serves drinks from around 9pm until the early hours of the morning. The closest hotels to Marinella Bar are Cinderella Flats and Elenapa Apartments. Other bars in the Ayia Napa square area are Ambassaden, Laderna and Madness Bar.